Q: What is Beta glucan? A: Beta glucan is a safe and very potent biological response modifier (BRM) that nutritionally activates the immune response through the Macrophage, Dendritic and additional immune cells to yield various therapeutic effects. In its most effective form, Beta glucan is extracted from the yeast cell wall (Saccharomyces cerevisiae) of Baker’s yeast as Beta 1,3/1,6 glucan, as a purified isolate with harmful yeast proteins removed and a process that avoids reaggregation, agglomeration, or clumping after exposure to water in the digestive sequence. More than 60 years of scientific research on yeast derived Beta glucan confirms this simple composition is a potent and safe immuno-potentiator. Published research reported in the peer-reviewed "Letters in Applied Microbiology" - PMID: 12358685 - by Dr. Kenneth W. Hunter, Jr, ScD. et al from the University of Nevada School of Medicine confirms microparticulate (small particle), nonaggregated Beta glucan is a superior immune potentiation isolate. WebMD Beta Glucan Misinformation Alert: WebMD at present is mistakenly stating a company, indicating Nutritional Scientific Corporation and its MG Beta Glucan, is in error with no reliable evidence stating, ..." only beta glucan taken orally that is micronized by a patented process to produce glucan of 1 micron or less can be absorbed" but the statement is misleading and false. As a Co-Inventor on U.S. Patent 6, 476,003 referred to by WebMD, I can state without reservation that the claim by WebMD has not been made by NSC nor is it found in U.S. Patent 6,476,003 on which I am Co-Inventor; thus the WebMD claim with regard to NSC is false. What was stated in U.S. Patent 6,476,003 in which I participated with Kenneth W. Hunter ScD and Ruth Gault PhD from the University of Nevada School of Medicine, Dept. of Microbiology is, ".... As the glucan re-aggregates to a size of greater than one micron in diameter, some of the beneficial effect of the glucan is not achieved because the macrophage receptors are not activated as readily by glucan greater than one micron in diameter because the receptor size on corresponding cells and molecules that accept the glucan is generally about one micron in size." In further published research in the Letters in Applied Microbiology by Kenneth W. Hunter ScD et al from the U. of Nevada School of Medicine, Dept of Microbiology, the peer reviewed research (PubMed 123586685) stated, "...there was evidence that macrophages..., preferentially ingest particles in the 1-2-µ [microns] diameter size range. ... Although both aggregated and microparticulate glucans enhanced peritoneal macrophage activation when administered orally in mice, the microparticulate glucan was significantly better than the aggregated form" Although notified with reliable evidence of the WebMD error, to date WebMD regrettably and without explanation has not corrected the misstatement containing the false information. The process of extraction, including particle size reduction and protection to prevent reaggregation, has a direct bearing on the degree of immune potentiation of any particular Beta glucan product, with potency ranging from negligible to extremely high. The microparticulate size of 1-2 microns, versus larger globular or reaggregated particulate glucan, is much more potent in immune response potentiation as evidenced by the increased nitric oxide burst in the macrophage cells. The nitric oxide burst is a killing mechanism for microbes, including bacteria, viruses and fungi, for the large white immune cell immune cell designated as a macrophage. Some hype merchants in beta glucan claim particle size has no bearing on immune potentiation capabilities of a beta glucan. Particle size is proven conclusively by at the University of Nevada School of Medicine, Department of Microbiology in an extensive research project spanning two decades. However, more than small particle size on ingestion is required, because orally taken beta glucan reaggregates, or clumps back, into a larger size when exposed to water in the digestive process. This reaggregation effectively returns even reduced sized particles back to a larger particle sizes due to clumping together. Unless processed to create non-aggregation, the globular/reaggregated glucan particles then arrive in the Peyers' Patch of the lymphatic system to attempt to activate a receptor site on the macrophage cell that is 1 to 2 microns in size in globular sizes that are reduced in immune potentiation capabilities. Insoluble particulate Beta glucan taken orally, in contrast to water soluble for injection, is marketed as a dietary food additive supplement that nutritionally empowers the immune system to normalize. Normalization refers to maintaining if functioning properly; building up if substandard and calming down if hyper. An immune system representing 20% of the body's cells in peak condition provides the most protective disease defenses, faster recoveries, enhanced shielding from radiation damage plus environmental hazards and an extension of life associated with good health. We all seek a quality, not just quantity of life and the immune system is a major key! Q: Who should use Beta glucan to enhance the immune system? A: Each of us has an unbelievably complex immune system designed to protect us against all intrusions into the body that may cause harm. Your immune system is your primary natural defense against disease and aging to be augmented when appropriate by pharmaceutical drugs available only with a prescription and subject in most instances to unwanted side effects that trigger the necessity for a prescription for purchase. Beta 1,3/1,6 glucan is a nutritional fuel for your immune system to assist in enabling a normalized immune response. Beta glucan nutritionally promotes normalization that includes regeneration of a suppressed immune response or a calming of a hyper immune response such as allergic reactions. Joined with proper diet, moderate exercise, adequate rest and reduced stress, the immune system can be maintained or as a goal returned to peak condition when nutritionally normalized with Beta 1/3,1/6 glucan. An immune response performing normally is a key to success for anyone seeking a healthy life. Bottom line, in my opinion, everyone should take Beta glucan with the amount dependent on whether Beta glucan is taken to contribute to nutritional maintenance of good health, or as an attempt to nutritionally contribute to a normalization of a compromised or hyperactive immune system. Take as directed on the label of a specific product. Q: What else can I do to help improve my immune system? A: Moderate exercise, proper diet, adequate rest, limited stress and an optimistic attitude with laughter and belief in a higher being all help to naturally enhance and maintain our immune systems. A good multi-vitamin and various nutritional supplements, particularly Beta glucan, are almost always beneficial to provide nutritional benefits when we fall short on proper diet, exercise, rest and reduced stress. Some other often used supplements include Colostrum, CoEnzyme Q10, Aged Garlic, Astragalus, Grape Seed Extract, Bioflavanoids, Omega 3's and a high quality multiple vitamin including vitamins C, D, E and B Complex with essential minerals including zinc, selenium and magnesium and enzymes. Let’s be candid, we all fall short and abuse our body’s natural defenses! Neither Beta glucan nor any other supplement is a substitute for a healthy lifestyle, but since we are not perfect, our immune systems for most can benefit from supplementation from a micronized Beta glucan of very high quality. Q: Is Beta Glucan an Anti-Oxidant or have Anti-Oxidant attributes? A. Beta 1,3/1,6d glucan has powerful antioxidant attributes, with heightened free-radical scavenging activity to nutritionally contribute to enabling the immune system to fight back against health invaders such as fungus, bacteria, viruses, parasites and radiation. Technically named Beta 1,3/1,6 glucan, Beta glucan is a long-chained polysaccharide molecule extracted from the cell wall of common Baker's yeast as a purified isolate. A medical school researched form is MG glucan, which is a microparticulate isolate extracted and processed to resolve certain negative characteristics, including reaggregation, exhibited in other glucans, but without change in chemical composition. Beta glucan is orally effective, non-toxic with enhanced effectiveness when delivered in small particle sizes (microparticulate) for help promote better absorption and ingestion into the immune system. In this form the product is absorbed to a high percentage in your immune system, not just passed through and expelled by the body as large particle globular glucans, and ingested faster by more immune cells to go to work to attack and fight back against health invaders that constantly attempt to steal our good health. Think of Beta 1,3/1,6 glucan as a key to your immune response engine to turn on the system to initiate the response needed for good health. Evidence now shows Beta 1,3/1,6 glucan is, from an evolutionary point of view, one of the most widely and most commonly observed activator in nature for the most ancient cell in the immune cascade, the Macrophage. The immune response potentiation of Beta glucan crosses kingdom lines and has been found in all branches of the animal, bird, fish and plant kingdoms. Beta glucan will nutritionally help you, your pets and your plants! Q: Are the effects of Beta-1,3/1,6-glucan backed by scientific research? The research involving Beta Glucan began in the 1940's with a history of beta glucan scientific discoveries by Dr. Nicholas DiLuzio, Dr. Joyce Czop, Dr. William Browder, Dr. Kenneth W. Hunter Jr. and others bringing us to today's research status. An outstanding non-commercial website for reviewing Beta Glucan research is www.betaglucan.org with research listed by condition and disease instead of by researcher. The website also gives quotes related to the research references so those interested so that individual research studies do not have to be obtained unless more in depth study is desired. Most research studies have PubMed references to see the complete research. Independent research from 1996-2016 at the University of Nevada School of Medicine under the direction of Kenneth Hunter, ScD confirmed prior research completed at Baylor College of Medicine in the laboratory of Professor Phil Wyde, Ph.D. as to the oral effectiveness of particulate-insoluble Beta glucan in activating immunity. Macrophages in both studies significantly increased their immune response (phagocyte) activity in mice fed with Beta-1,3/1,6-glucan. The Beta-1,3/1,6-glucan used in the University of Nevada School of Medicine immune research was MG Glucan provided by Nutritional Scientific Corporation (NSC). These test results indicate Beta 1,3/1,6 glucan is a unique and effective oral immune activator. Beta 1,3/1,6 glucan is highly effective as a microparticulate oral dietary supplement with particle sizes 1-2 microns that will not re-aggregate after water contact during the digestive process. In summary, because the receptor sites for Beta 1,3/1,6 Glucan on the macrophage are approximately 1 to 2 microns in size, microparticulate particle size has been demonstrated in the Medical School Research at the University of Nevada School of Medicine, Department of Microbiology, to be an important determinant of immune response activation and response. Hundreds of scientific studies have been produced by such prestigious institutions as Baylor Medical School, Tulane University, Harvard Medical School during the history of Beta Glucan research and on-going research at the U. of Nevada School of Medicine (UNSM), including a peer-reviewed publication of partial research findings. All attest to the immuno-activating and protective effects of Beta-1,3/1,6-glucan derived from yeast cell walls with current research confirming the benefits of micronization, or small particle glucan efficacy, compared to large particle size glucans. Q: What is the proper dosage of Beta glucan? A: Your personal physician/health provider should be consulted to evaluate personal medical conditions and related dosages of any drug or supplement. However, most physicians are not familiar with the existence of Beta glucan, much less the proper dosage. Recent research at the University of Nevada School of Medicine has determined in a large study “in vitro” that a dosage of 10 milligrams per day of properly processed and micronized Beta 1,3/1,6 glucan extracted from yeast cell wall is as effective as 100 milligrams per day and more effective than 1,000 milligrams per day. The Beta glucan utilized in this study was MG Glucan (not a commercial product name) provided by Nutritional Scientific Corporation. For maintenance dosages, 3 mg per day is a suggested amount if the Beta 1,3/1/6d glucan is properly processed and very high quality. The dosages were extrapolated from minute dosages in animals to determine the amount appropriate for a 160 pound human. Q: Why are some Beta glucans so much more expensive than others? A: To attempt to micronize particulate Beta glucan to a small microparticulate particle size of 1-3 microns is expensive, often involving multiple processing steps to reduce the glucan down to a size of 1/25,400 of an inch, the same approximate size as the glucan receptor site on the immune cells. A second step is also expensive due to unique equipment required for the process to assure the Beta glucan does not re-aggregate back into larger clumps because larger clumps hinder proper ingestion by the macrophage cells due to the restricted size of the receptor site. Beta 1,3/1,6 glucan extracted and isolated with micronization has the same chemical structure but is often described in research literature as MG Glucan. Very few Beta glucan products on the market pay the extra expense of micronization and disaggregation of the glucan, the latter a process that assures the microparticulate particles will not “clump” back resembling a cluster grapes when exposed to water in the digestive process. Is the company sponsoring current and extensive medical school research in the United States under U.S. Government guidelines on Beta 1,3/1,6 glucan? Are any doctors in immunology directly associated with research and development of the Beta glucan product? If so, who and with what organization? When and how? What research where and when? Are any consultants to the World Health Organization in immunology associated with direct product development or research, with access to World Health Organization’ data bases and research? Do company products focus on Beta glucan or is the Beta glucan product just one of 100’s or 1,000’s, with little specific personnel knowledge about what Beta glucan is; what it does and what distinguishes a marginal product from an outstanding product? What form of Beta glucan is in the product to be taken orally, with the preferable form of this author being MG Beta 1,3/1,6 nonaggregated Glucan. Does anyone producing the Beta glucan product know what "reaggregation" or "non-aggregate" mean? Check the www.fda.gov site to determine what beta glucan purveyors and their websites might have received FDA Warning Letters as to inappropriate claims on the websites. Obviously, the more positive responses and absence of FDA Warnings, the higher the probabilities that the product you are buying is of demonstrated quality available based on current specific scientific research on the product in the bottle. If a company will not or cannot answer these questions positively, dial again! Almost all Beta glucans selling very inexpensively are either basically fiber derived from grain (Beta 1,4 glucan), or are very large particle sizes with minimal, if any, processing to optimize immune activation and normalizations. Some are even whole yeast cell walls without the Beta glucan extracted at all. High milligram dosages, larger particle sizes, reaggregation and cheap prices are usually not better in Beta glucans. Rocks are not better than bullets as ammunition even though they weigh more and are of greater volume - the same with beta glucans. Less is more if Beta glucans are processed correctly. Don’t be shy. Ask questions and if you do not get good answers, go elsewhere! In summary, you will pay more for properly processed microparticulate Beta 1,3/1,6 glucan from yeast cell wall that does not re-aggregate (99% of companies will not even know what you mean when you ask! ), but it is probably significantly more effective than the inexpensively processed Beta glucans. A guideline to always follow: Where your health is concerned, 2nd best is not good enough! Be informed and make a correct decision based on facts and research; not marketing hype. Q: Is there any known toxicity or negative side effects related to Beta glucans? In other words, is it safe and does the FDA have a position? A: Beta-1,3/1,6-glucan derived from the yeast cell walls of Baker's Yeast is considered safe and non-toxic, with the Baker's Yeast from which extraction occurs holding the classification of G-R-A-S (Generally Recognized as Safe) by the FDA as a dietary food additive supplement. Beta 1,3/1,6 glucan is an isolate extract derived from Baker’s yeast., but with no change in chemical composition. No contra-indications with other pharmaceutical products are known to date, but always check with your personal health provider if you have questions in this regard. If you are taking multiple pharmaceutical products and/or other supplements, any adverse reaction is almost certainly from the other sources, but in this instance always check immediately with your health provider/physician. If any negative reactions occur, report the negative reactions to the product provider who in turn must notify the FDA of same. For more information on safety, go to www.betaglucan.org and go to the "safety" or "toxicity" categories. Q: What is the difference in various Beta glucans? A: Beta glucans can be derived from yeast cell wall, oats and barley, mushrooms, algae, mannan and other sources, but for optimum activation of the immune response, none compare to micronized and disaggregated Beta 1,3/1,6 glucan extracted from yeast cell wall (Baker’s yeast). In fact, current medical school research demonstrates the MG Beta Glucan is more than twice as potent in immune potentiation relative to nitric oxide stimulation to kill microbes compared to other forms since others re-aggregate into less efficient sizes for ingestion on being subjected to water in the digestive process. Note the difference is the particle size and not the chemical composition of respective Beta 1,3/1,6 glucans. Dr. Joyce Czop from Harvard Medical School determined that Beta glucan from yeast cell wall is up to 100 times more effective than mannan in immuno-potentiation. Glucans derived from grains minimally affect the immune response, but do help in lowering cholesterol. Q: Why is particle size of Beta glucan oral supplements important? A: Beta glucans are absorbed through the intestine wall, transported by M cells to the Peyer's Patch and then ingested by the Macrophage immune cells via Beta glucan receptors of approximately two microns in size. Large particle or globular size Beta glucans are inexpensive because they are minimally processed and not reduced to microparticulate size of 1 to 2 microns particle size for superior immune response potentiation. After transferal from the intestine to the lymphatic system in the Peyer’s Patch, the Beta glucan must be ingested by immune cells known as Macrophages. T cells, NK cells and B cells are in turn potentiated in what is called the immune cascade. Beta glucan consumption is easier with more Beta glucan ingested faster if in microparticulate bits the size of the receptor sites, in contrast to large chunks or reaggregated clumps of glucan after exposure to water in the digestive process that hinder fast and complete ingestion. Finally, more immune cells will ingest the smaller particles in size, increasing the saturation factor. Thus, a much higher percentage of micronized Beta glucan enters the immune system faster, which potentiates more immune cells to enable an immune response with greater numbers of activated immune cells targeted to kill and dispose of the pathogens. Recent medical school research at the University of Nevada School of Medicine under the direction of Dr. Kenneth Hunter ScD, Immune consultant to the World Health Organization, demonstrates the immune potentiation by Beta glucan is dependent on ingestion and not just contact with the glucan receptors on these white immune cells. See Beta Glucan Scientific Research at www.betaglucan.org . .
Because Beta glucan receptor sites are approximately 1 to 2 microns in size, Beta glucans in 1-2 micron particle sizes (micro-particulates) are ingested easier, faster and more completely by the Macrophages than larger sized glucans that do not fit the receptor site and thus must be broken down first to be ingested. Ingestion by the immune cells is then in lesser amounts with time delays caused by the inefficient and slow process of the Macrophage cells attempt to reduce the particles sizes chemically. Q: If I am allergic to yeast; will Beta glucan cause a problem? A: Although Beta-1,3/1,6-glucan is extracted from Baker's yeast, if properly extracted, it is a pure isolate containing no harmful yeast proteins that would cause an allergic reaction or aggravate any existing yeast allergic condition. The mannose-proteins that are primarily responsible for allergic reactions to yeast are on the exterior surface of yeast cells and are completely removed during the process utilized to extract, micronize and disaggregate MG Beta glucan. The extraction process however does not alter the chemical composition of the original source. Extracted MG Beta glucan contains miniscule amounts of residual internal protein that creates an immune cell response to the MG Beta glucan as being from yeast origin, but upon discovering they mimic but are no longer harmful yeast, the activated immune cells will then seek our true fungi and other pathogens in the body. Because mannose-protein on the yeast cell wall surface is eliminated and the minimal internal proteins are void of any harmful yeast factors, MG Beta glucan is non-allergenic, creating no allergic reactions or sensitivities when properly processed and taken orally. Q: Could Beta-1,3/1,6-glucan cause over-stimulation of my immune system or auto-immunity? A: Beta-1,3/1,6-glucan normalizes the Macrophage immune cell, but the immune response does not occur until an activated Macrophage ingests a foreign invader (bacteria, virus, fungus, parasite); then displays the invader's "antigen" for recognition (APC cell) by a T-Cell (Thymus immune cell) or B-Cell; thus initiating the full immune response. MG Glucan is often used during these conditions to nutritionally normalize the immune response. No known scientific research to date has indicated that Beta 1,3/1,6 glucan contributes to an auto-immunity response; however, in specific situations check with your personal health provider for evaluation and approval prior to usage. Q: Are there any drug interactions that occur with Beta-1,3/1,6-glucan? A: To my knowledge, there are no known or reported adverse effects to date when Beta-1,3/1,6-gluan is combined with pharmacological drugs or natural products, but always ask your physician should you have questions in this regard. The only warning would be to not inhale a significant amount of the beta glucan in powder form externally due to potential to create an inflammatory response in the lungs. Since the beta glucan is taken as an oral dietary supplement in capsule form in miniscule volume, this is a significant risk only for those processing large amounts of beta glucans and not in intake of small mg amounts of beta glucan in a capsule. A laboratory conforming to handling and process regulations while utilizing proper laboratory procedures for safety in processing microparticulate substances would eliminate this form of risk. A: Macrophages are large white immune cells representing the first line of defense in the initiation and maintenance of the immune response. Like all blood cells, Macrophages originate in the bone marrow from a pluripotent stem cell. As it matures and enters the blood stream it becomes a monocyte. Monocytes enlarge in the blood before entering the tissue as mature Macrophages. From an evolutionary point of view, the Macrophage is the oldest and most consistently preserved immunologically competent cell known. Not only humans and higher animals, but primitive invertebrates such as Hydra which have no other immunological effector cells, have Macrophages. Q: How are Macrophages Activated? A: In order to function defensively, the Macrophages must pass through a state of activation which involves certain form and structure changes. Most importantly, a sequence of metabolic changes occurs which results in the production of a series of cytokines. Cytokines act as protein internal regulators of the immune system. Activation can be initiated by a variety of different stimuli such as endotoxin, bacteria, viruses, fungi or chemicals. The activated Macrophage is very potent in the immune response. A Macrophage can recognize and kill tumor cells non-specifically, as well as remove foreign debris. It also can produce a number of essential cytokines that are able to stimulate the immune system in general and boost bone marrow production. To be activated by Beta 1,3/1,6 glucan, the Macrophage must ingest the Beta glucan through glucan receptor sites one-two microns in size and then through a unique protein expression classified as B7. Antigens are then presented to T-cells to initiate an appropriate immune response, including the B-cells and the production of appropriate antibodies. Q: Scientifically describe what Beta glucan is and why it is unique? A: There are several types of Beta glucan; however, Beta-1,3/1,6-glucan from the cell wall of Yeast (Saccharomyces cerevisiae) is by far the most active and potent immune normalizer in lesser amounts. A three dimensional model of this molecule reveals a helix and research at Harvard University has shown that receptors specifically for Beta 1,3/1,6 glucan from yeast cell wall exist on the Macrophage cell membrane. As a long-chained polysaccharide, Beta glucan differs from other sugar molecules such as Glucose. Glucose is a simple saccharide that the body transforms to energy as ATP and stores in muscles, liver and other tissues in a form of glycogen. Beta-1,3/1,6-glucan is different from energy-storing glucose containing polysaccharides because the connection between the glucose units is different. More specifically, it is the Beta-1,3/1,6-glucan linkage that makes this compound unique. A potent particulate Beta glucan from yeast cell wall based on medical school research to date is described in scientific literature as MG Glucan. Q: Will Beta 1,3/1,6 glucan assist the body in making the Aging process more positive? A: The aging process has been defined as "the sum total of life's physical embarrassment due to adverse conditions." If it is assumed that an activated immune response minimizes the occurrence of adverse conditions, Beta-1,3/1,6-glucan may be an anti-aging nutritional supplement due to immunopotentiating characteristics. The lowering of the effectiveness of the immune function is one of the main elements of the aging process. Health invaders (pathogens) attack us throughout life and the debilitating effects of disease and compromised health contribute to what we characterize as aging. Because of aging in which natural immune cell production declines,, many individuals have a compromised immune defense system. Individuals with a compromised immune defense system are more susceptible to arthritis; reduced wound healing capacity; reduced bone marrow proliferation with resulting lowered white cell counts and anemia; increased incidence of cancers; and increased incidence of viral, fungal, and bacterial infection. In addition, the immune system is impaired by numerous environmental factors such as UV radiation, environmental toxins, food preservatives and even antibiotics. A healthy immune response acting productively with nutritional activation by Beta 1,3/1,6 glucan is a positive factor contributing to “Anti-Aging” and and hopefully an extended life span. Q: Can Beta 1,3/1,6 glucan help reduce Stress-related immuno-suppression? A: Physical and emotional stress and intense physical exercise can negatively effect the immune system. Documentation in research demonstrates generally healthy athletes frequently suffer from influenza or pneumonia following heavy periods of intense exercise. The excess production of the hormone cortisol is believed to be contributory to immune suppression related to stress. The same immuno-suppression is observed in people with stress-related diseases, such as coronary disease. Under these influences, the number of Macrophages available are reduced and unable to participate in the immune cascade which causes even deeper immuno-suppression. Beta-1,3/1,6-glucan has been shown to nutritionally both potentiate and activate Macrophage cells which may assist in countering these effects. Q: Does Beta 1,3/1,6 glucan nutritionally help support normalization in Cancer issues? A: Suggested is a review of research involving cancer and beta glucan at the non-commercial website www.betaglucan.org . In the 1970's, Peter Mansell, M.D., conducted studies in which Beta glucan was injected into subcutaneous nodules of malignant melanoma. Subsequent biopsies of the injection sites found no evidence of melanoma, just a collection of obviously activated Macrophages. Extensive research continues in this area and again, we encourage frequent review of the non-commercial website www.betaglucan.org which reviews beta glucan research by health condition. Beta glucan has been scientifically demonstrated to nutritionally promote generation of immunocytes in the bone marrow which are depleted by cancer - a very important potentiation to keep a strong immune response in the face of debilitating disease. Q: Does Beta 1,3/1,6 glucan help in nutritionally protecting against negative radiation burns and other negative effects? A: The U.S. Armed Forces Radiobiology Institute performed oral research with Beta glucan. In a well-controlled study, rats were given a lethal dose of radiation. Seventy percent of these rats were completely protected from the radiation effects when given a dose of yeast extracted Beta glucan by mouth AFTER the radiation. Dr. A.J. Carrow, M.D. conducted studies with a commercial Beta glucan product reported in the “Townsend Letter for Doctors.” In his limited study in his clinic, Dr. Carrow had positive results in women suffering from breast cancer being successfully shielded from radiation negatives compared to those who did not receive the Beta glucan product. Q: Is Beta 1,3/1,6 glucan a free-radical scavenger and antioxidant? A: Myra Patchen, Ph.D., co-author of the military study, confirmed that Beta glucan is also a free radical scavenger. Blood Macrophages are protected by Beta 1,3/1,6 glucan from free radical attack during and after radiation exposure. The Beta 1,3/1,6 glucan allowed these cells to continue their important functions in the irradiated body and release factors important to the restoration of normal bone marrow production. Free radical scavenging testing involving Beta 1,3/1,6 glucan in different models confirmed the antioxidant effect. The powerful free radical fighting abilities of Beta glucan are a major benefit to better health and longer life based on the known potential of free radicals to accelerate aging, cause cancer and other diseases. Q: Does Beta 1,3/1,6 glucan fight Candida? A: Beta-1,3/1,6-glucan has an anti-fungal effect, shown in experiments with Candida albicans. The broad anti-infective spectrum of Beta-1,3/1,6-glucan can be explained by the fact that the immuno-potentiation produced by this unique material is due to the immune cells response to what they think is pathogenic fungus, but in fact is a harmless extraction from yeast cell wall. Once activated, the immune cells then seek out actual fungi in the body, including Candida. Research at Oxford University also demonstrates the effectiveness of Beta 1/3-1/6-d glucan as well as decades of research available by a search on Pub Med by entering the words, "beta glucan.". Frank M. Jordan is a noted author, lecturer, commentator, researcher and co-inventor with several U.S. and Foreign Patents Issued or Pending, including U.S. Patent 6,476,003 issued related to Beta 1,3/1,6d glucan from yeast cell wall and the immune response. 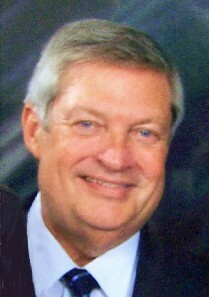 Jordan received a Master’s degree in post-graduate studies from The University of Texas at Austin and serves as President of Carmel Research, Inc., a corporation involved in Beta glucan research and Beta glucan patents for decades, in addition to being CEO of Nutritional Scientific Corporation. Jordan is and has been qualified as a beta glucan and immune response expert witness by a U.S. Federal Court. Frank Jordan's Health Commentaries can also be heard on weekdays on Sirius/XM Ch 131 nationally at 4:46 pm EST, with more than 3,000 Healthy, Wealthy and Wise broadcasts to date on radio and television. You should not use the information contained herein for diagnosing or treating a health problem or disease, or prescribing any medication. Frank Jordan is not a licensed physician or health care provider. Questions pertaining to nutritional intervention for the prevention or treatment of a disease cannot be answered. Questions oriented to prescribing or diagnosing an illness are best addressed by your personal healthcare practitioner. Information and statements regarding dietary supplements or other products have not been evaluated by the Food and Drug Administration and are not intended to diagnose, treat, cure, mitigate, or prevent any disease.